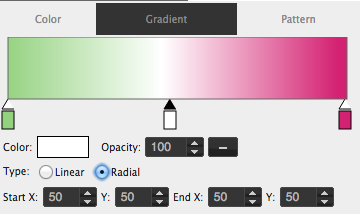 Set fill color and border color for shapes and texts, also can use gradient or pattern. 1. 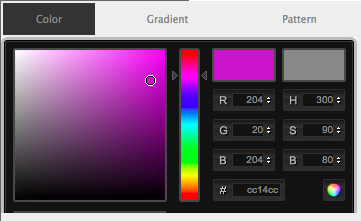 Click the color button on the left toolbox. 2. 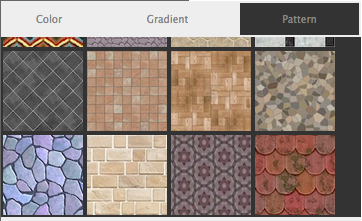 Choose what type fill color you want use by the 3 tabs, then set it easily. 3. The first color for fill, and the second color for border.